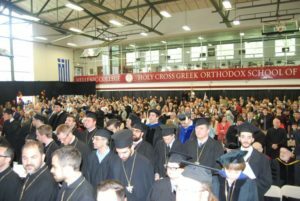 NEW YORK – The Greek Orthodox Archdiocese of America is addressing concerns regarding comments made and opinions expressed at the 67th commencement of Hellenic College Holy Cross Greek Orthodox School of Theology, May 19, 2018. 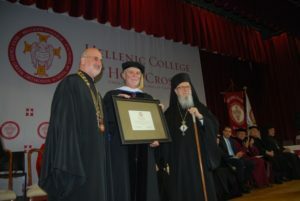 Opinions expressed by speakers and honorees during the commencement ceremony are simply their opinions and do not in any way reflect the sentiments of His Eminence Archbishop Demetrios Geron of America, the Holy Eparchial Synod, our School HCHC, or the Archdiocese as a whole. 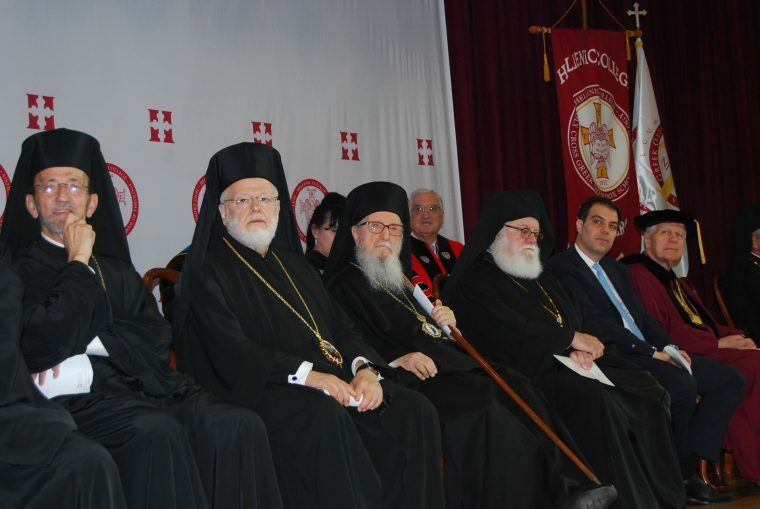 Further, we state unequivocally that the Greek Orthodox Archdiocese of America, as the canonical eparchy, which belongs organically and inseparably to the Ecumenical Patriarchate of Constantinople, honors, respects and loves the Ecumenical Patriarchate and His All Holiness Ecumenical Patriarch Bartholomew. Sigh. Bishop Gerasimos gives yet another reason to ignore anything with a note saying “A bishop said this…”. He is not bright enough to understand why. Nothing to see here, move along. This is why laymen need to focus on their parish, the community where the Church lives and not the episcopal level where it dies a little more every day. It takes diligence to see as little funding as possible goes to any entity besides the local parish but that effort is more important all the time. Bishops are allegedly monks. They take a vow of poverty, and I suggest we give them as much as possible. They have earned it. Retire Bishops at 75 years old like the Catholic Church does. After 75 years old Bishops become complacent and NOT productive. Too much complacent, that is why we are in financial trouble with the Archdiocese, the ONLY Greek Theological School and St Nicholas ground zero New York. Steve, I guess you would have retired Bishop Polycarp. I wish the challenges facing the church could be solved by retiring bishops at 75 but I don’t think so. A bad bishop at 50 is as bad as a 75 year old bishop. Entirely correct, a young talentless man isn’t going to evolve into something else. We always have to remind ourselves, why was this guy made a bishop? Because he was a good bet? No, because he was single. And that is not Christian, it is simply practicing magic. There is no other area of life where any sensible person would use that criteria for any job. If a bishop needs emergency surgery, should he be told that he is so important that we have to find a celibate cardiologist to operate on him, a monastic neurosurgeon? If his roof leaks, a celibate roofer, maybe require him to hire a celibate plumber if his pipes burst? If we don’t do stupid things like that when will the Church outgrow this fantasy? How many centuries of failures are necessary before fixing it? The best example of young bishop who shouldn’t be bishop material is the freshly minted bishop in Chicago. Notice what a good boy he is, following the company line and joining the “elders” in condemning the commencement speaker. An undergraduate degree from Hellenic College is as good now as it ever was.